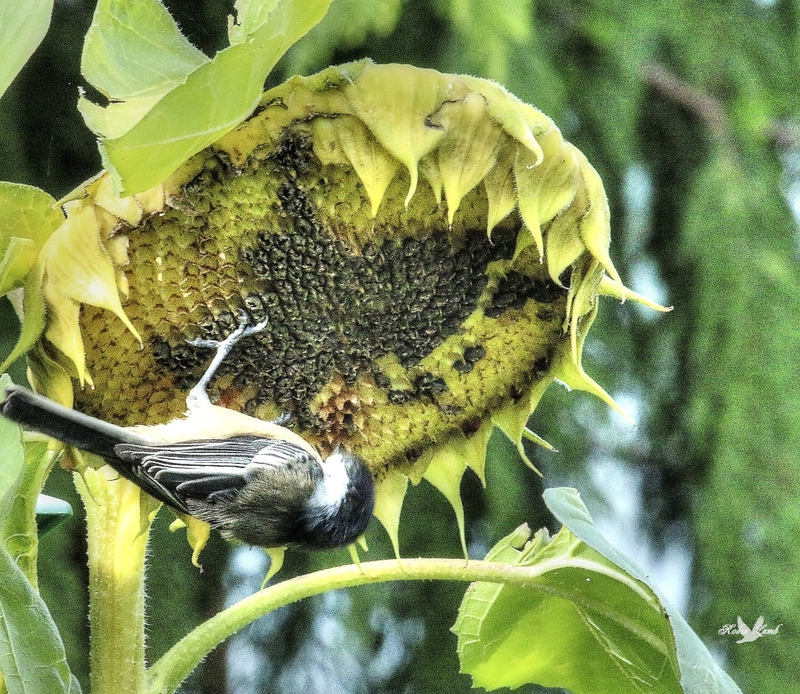 A Black-capped Chickadee enjoys the fruits of a Sunflower in our backyard. This entry was posted on 2014/10/06 by Robin. It was filed under Birds, Chickadee and was tagged with Aldergrove, B.C., Backyard, Seeds, Sunflower. The birds will go to great lengths to get the seeds they want. Ruth, no doubt about that!! Pat, thanks! They are so cute, aren’t they!